Modern households require a steady supply of hot water for a variety of purposes. Unfortunately, if you are not careful about the choice of water heating system in your home, you may end up with a substantially higher energy bill every single month. This is clearly not the way to go. What you need is one of the best and most energy efficient tankless hot water heaters to provide you with on-demand supply of your hot water needs. Most conventional hot water systems have a lifespan of only a decade or so. As the different components of these systems degrade over time, they will require more energy to heat the same volume of water that you once enjoyed when the plumbing, network of fixtures, and electrical components were still new. Maintaining these old and often outdated fixtures can lead to significant increases in your energy expenditures leading to hefty monthly energy bills. Among the major sources of energy expenditures in an average household, water heating takes up about 18 to 20 percent of the pie, surpassed only by cooling and heating. Over time this can readily amount to hundreds of dollars more than the usual. One way to make sure that you have an energy efficient hot water system is to make sure that it is functioning properly. You can call for the best Memphis water heater repair company but this can only give you temporary relief. If your system is already old it may need replacement. 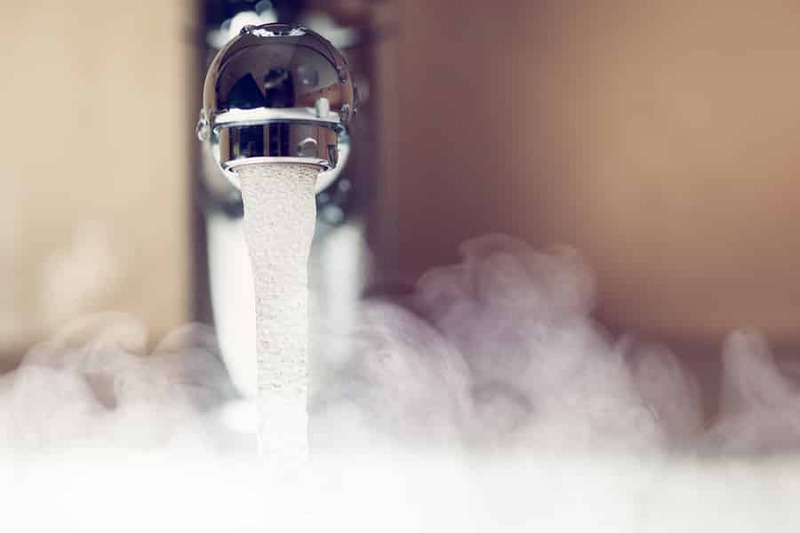 Today’s hot water systems are truly phenomenal when it comes to energy savings. Even modern versions of conventional water heating are now fully energy efficient. However, since you are actually heating the water in the tank round the clock, you are still spending energy which you do not use right away. In essence, even energy efficient hot water tanks can be quite costly. What you need is a unit that can help you save at least 50 percent off your usual energy expenditures. What you need is a tankless hot water heater. Otherwise known as instantaneous or demand-type water heaters, tankless hot water systems are more energy efficient solutions as these only provide hot water on a per-demand basis. These do not require storage tanks that need to be continuously heated which can result in energy losses that can be reflected in your monthly bills. As tap water is turned on, the cold water passes through the plumbing and through a heating unit which increases the temperature of the water, giving you instant hot water. There are many advantages of using these kinds of heating. First, they are more energy efficient than conventional types of hot water heating. Studies show that households that use at most 41 gallons per day can save 24 percent to 34 percent more energy. For households that use more hot water up to 86 gallons per day, they can save up to 8 to 14 percent more energy. Each water outlet that is fitted with these energy efficient solutions can help save you up to 50 percent of your energy bills. Secondly, the cost of the system is generally cheaper in the long run because of its longer lifespan. The installation of the unit is more expensive, however. But, since these have a much lower energy and operating costs in addition to the 20 plus years of life expectancy, these tankless water heating systems will prove to be a lot more practical in the long run. When you also factor the easily replaceable parts or components of the system, this can significantly extend the lifespan of the system, further reducing the overall cost. Lastly, tankless water heaters help avoid the occurrence of standby heat losses. Unfortunately, this is only true for electric systems as gas-fired ones can have sufficiently similar heat losses because of continuous burning of the pilot light. One way to avoid this is to choose a model that has a standing pilot light which should enable you to turn it on or off at will. In most cases, an intermittent ignition device can help instead of getting a unit with a standing pilot light. Size of the heating unit – Your first consideration should be the size of the heating unit. This is dependent on the size of your household as well as the average volume of hot water that you use every day. You will need to have an idea of your household’s flow rate which is expressed in gallons per minute. You will also need to determine the amount of temperature rise that you need for each hot water application that you have. It is often important to seek the advice of a professional tankless hot water system provider like Memphis HVAC and Plumbing to help you determine the correct size for your home. Energy efficiency – This is one of the most important things you have to consider when choosing the right system for you. This is a reflection of the total amount of hot water that your system is able to produce for every unit of fuel or energy that is consumed. It includes recovery efficiency, standby losses, and cycling losses. The good thing about a tankless system is that it substantially negates standby losses. Fuel type and availability – There are two fundamental types of fuel used in tankless systems: gas-fired and electric. Gas-fired systems can be fueled by natural gas or propane. You may want to check the availability of these fuel systems in your area and check which one will give you a much better option. Costs – Consider the cost of the unit, installation, and maintenance as well as the current electricity rate in your area. Use these information to help you decide on the kind of system that you really need. Choosing the best tankless water heaters in Memphis may be challenging. That is why it’s best to ask a professional to help you decide. Memphis HVAC and Plumbing can help you determine the best system for your home.